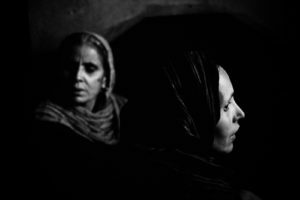 Begum Jom, 55, in her house in the village of Khudhalem. 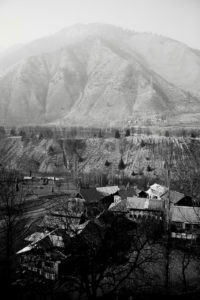 Her husband disappeared many years ago. 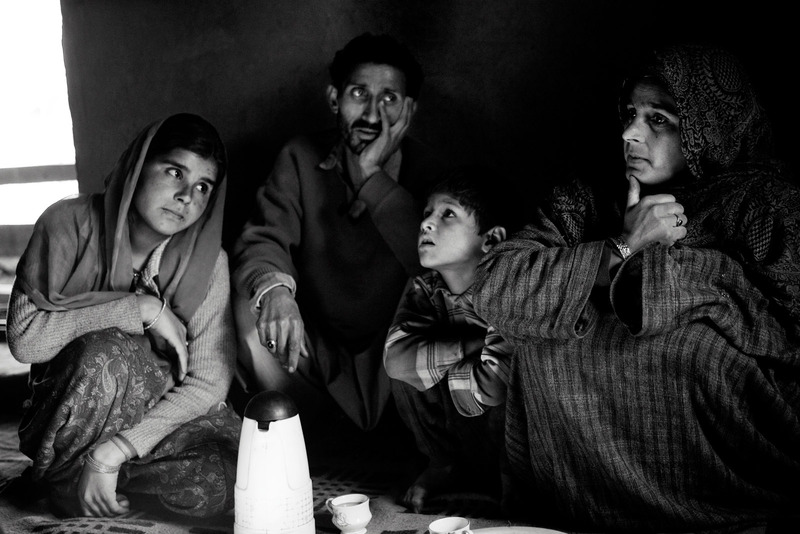 Begum Jom, with neighbours, in her house in the village of Khudhalem. 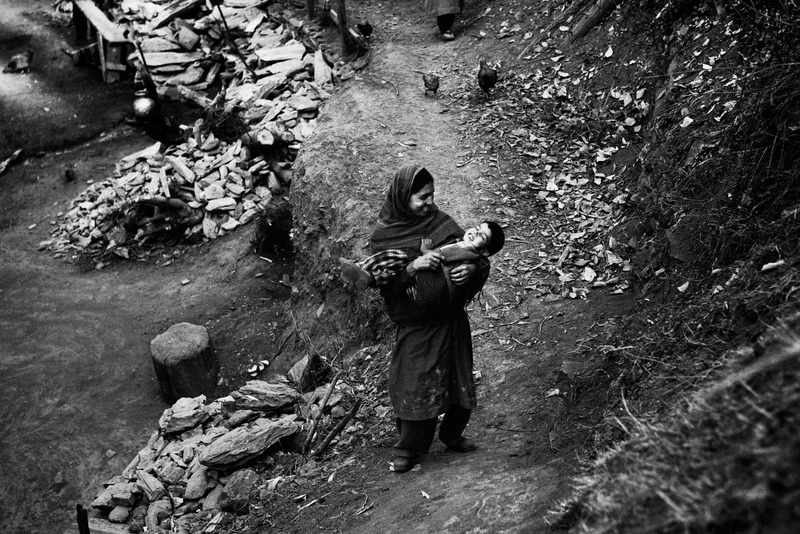 A woman plays with her son, in Khudhalem. 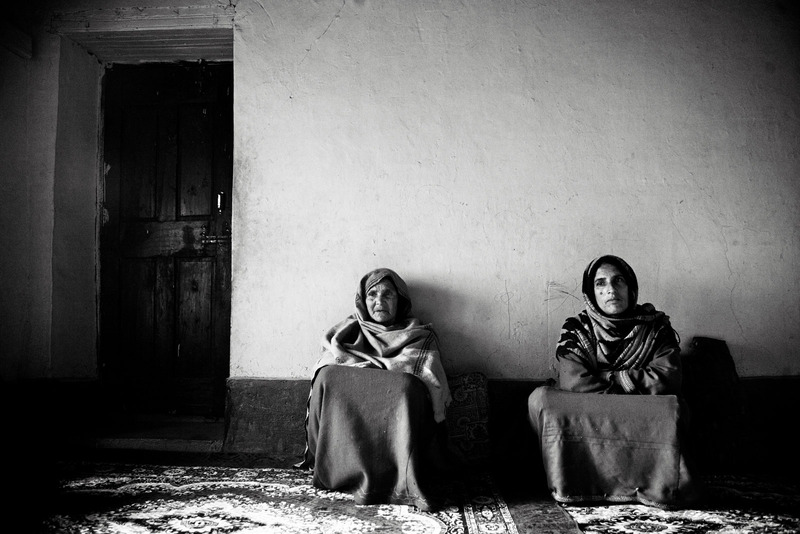 Shahjahan Begum (r.) and one of her eight chlidren, in her house of Shaladrjan Nowshera. Her husband's brother disappeared in 98, when he was kidnapped in the middle of the night by men in uniforms saying they were police. Since then, her husband and her have spent all their money to try to find him again. They had to give up after a costly hospitalization. 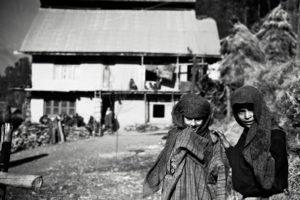 Now they say, they have neither money, nor hope left. 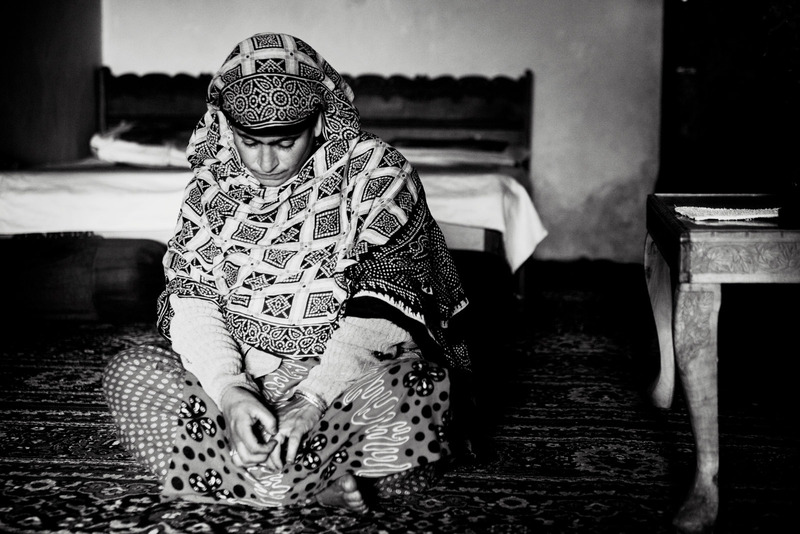 One of the daughters of Shahjahan Begum and a neighbour in Shaladrjan Nowshera. 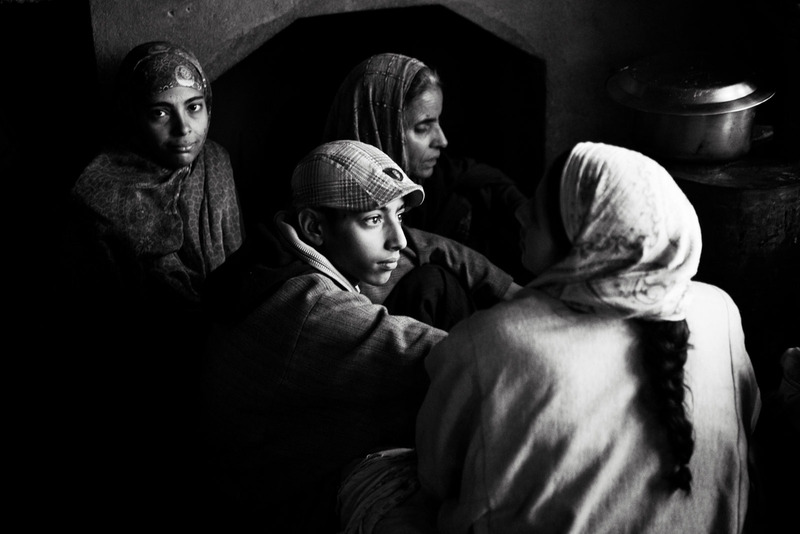 Shahjahan Begum (r.), two of her eight children and a neighbour, in her house in Shaladrjan Nowshera. 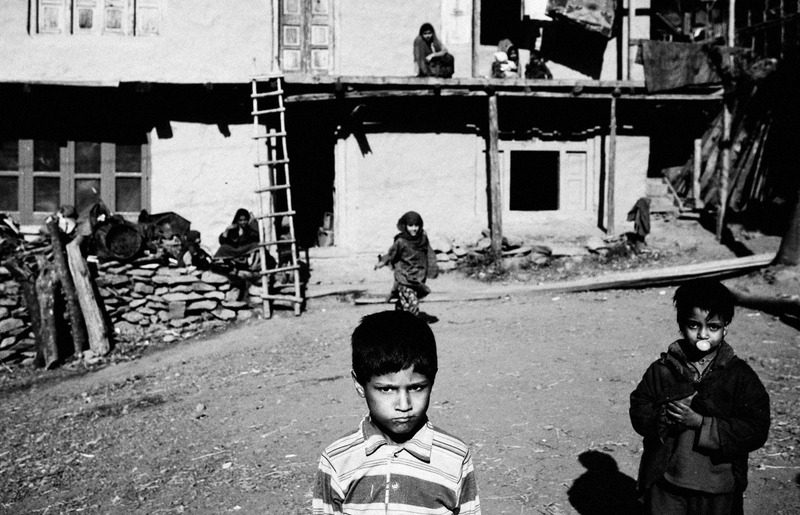 Children in front of their house in Shaladrjan Nowshera. Their parents spent all their money trying to find their uncle and now haven't enough money to send them to school and pay for schoolbooks. 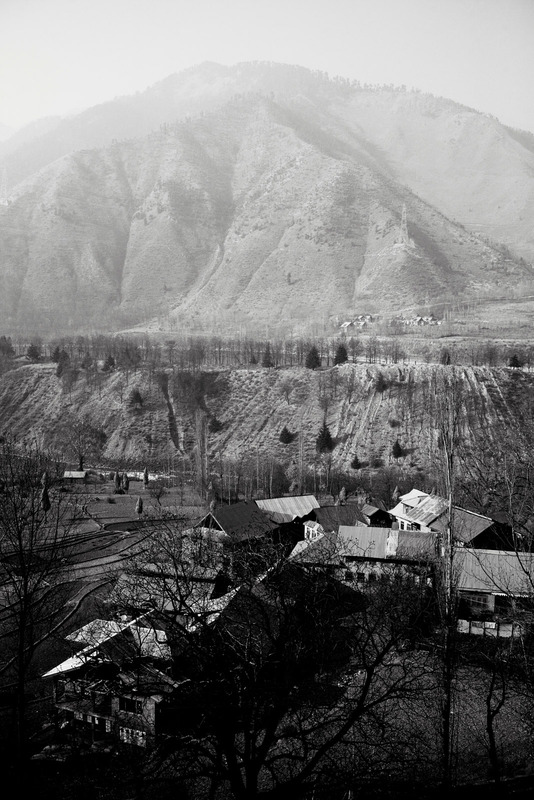 In the valley, most people know at least one person who disappeared without any trace. 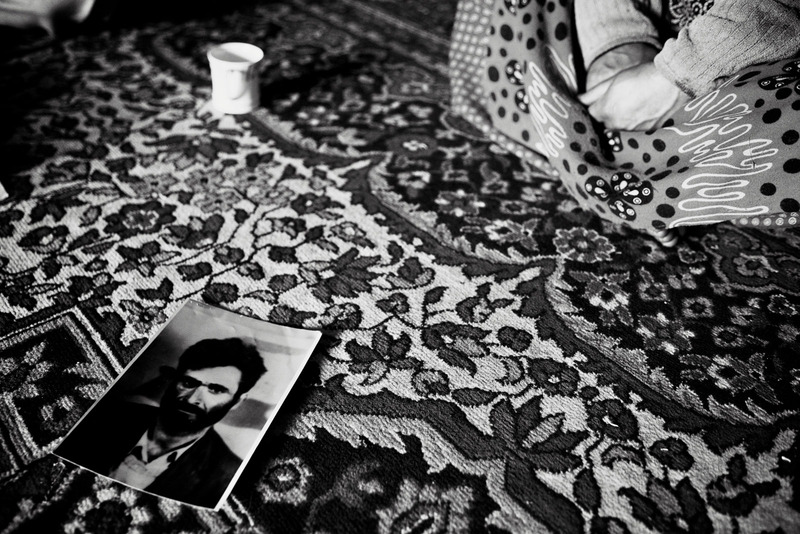 Khadija, 50, cries when remembering her husband Sheikh Mohammed Mir who disappeared in 98. She never had news from him. 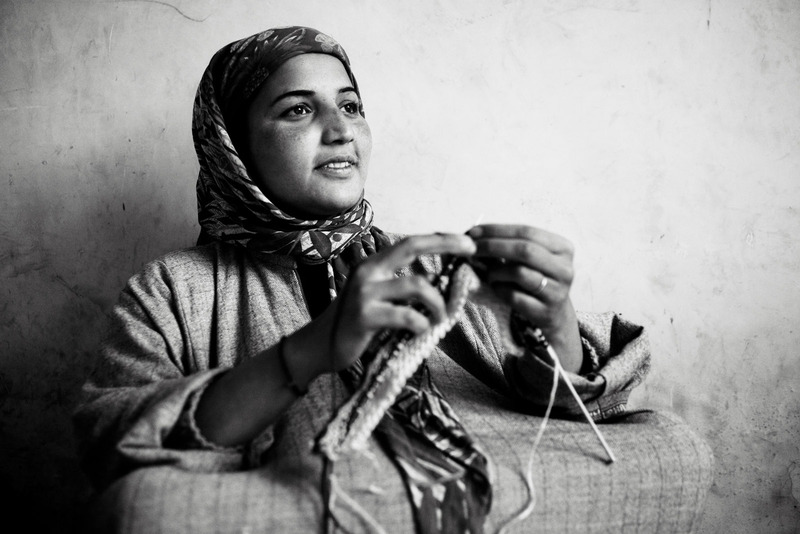 Khadija is one of the rare "half-widows" to remarry. 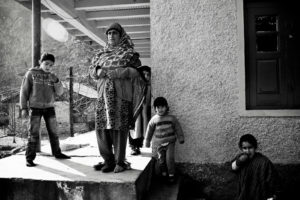 She married a neighbour, widower, so he could provide for her and her children. Khadija prepares tea at her home. 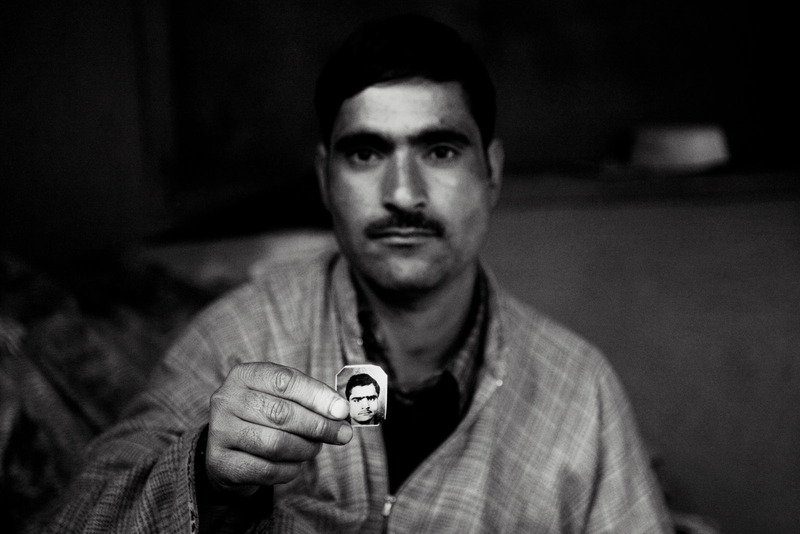 A neighbour of Khadija shows a picture of his disappeared brother. Villages and frozen rice fields in north Kashmir. 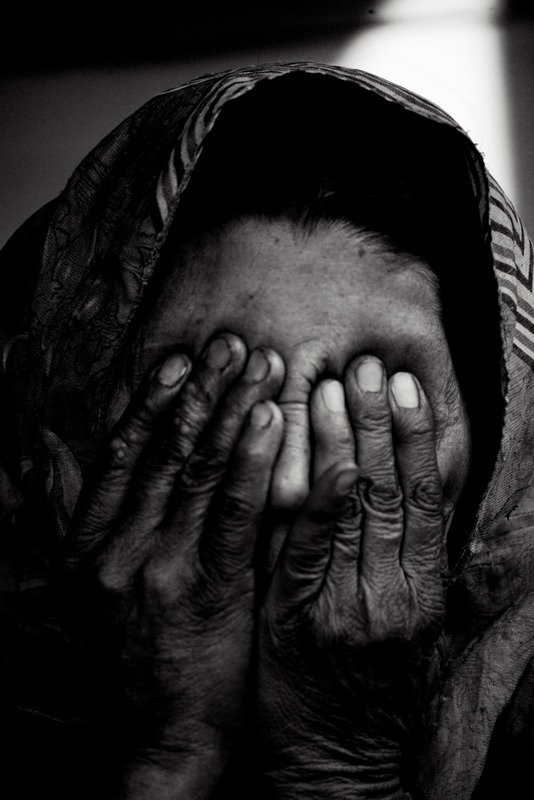 Haleema Begum, 42, sits near the picture of her husband, Gh. 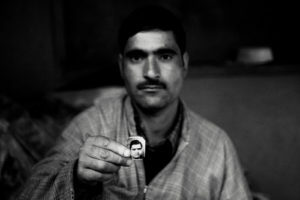 Qadir Pandih, a vegetable seller, arrested by the indian army in 1998. Despite the fact that no weapon or proof of illegal activities were ever found, the army never judged Qadir Pandih and never freed him. 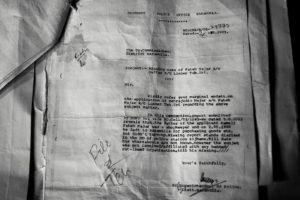 On the contrary, the army denied any implication. 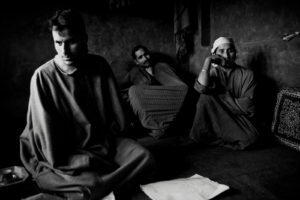 But a petition signed by a judge in Srinagar 8 years later, recognized the failure of the army to provide an explanation about the disappearance while in custody. 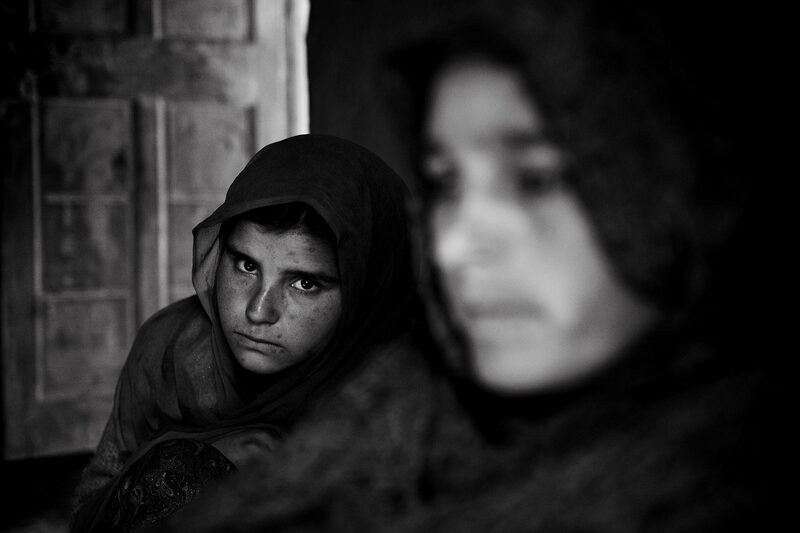 Haleema Begum now lives at her brother-in-law's with her children. 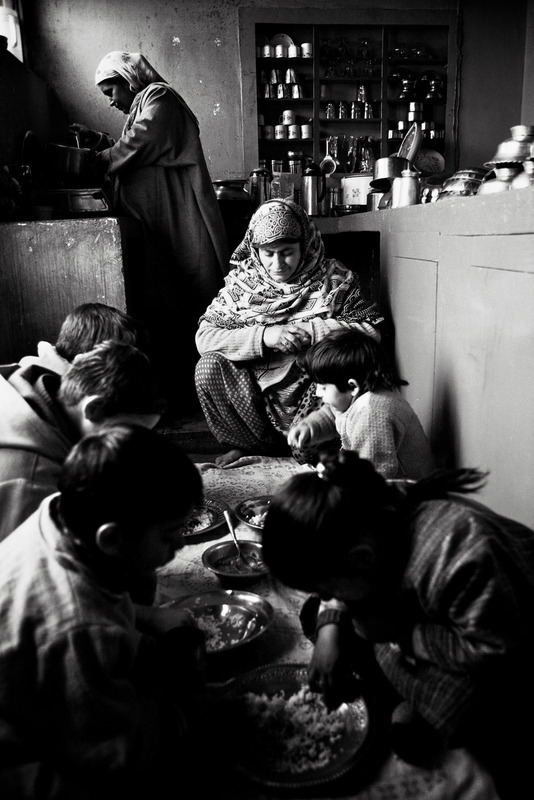 Haleema watches over the meal of her nephews and nieces. Haleema with her nephews and nieces. 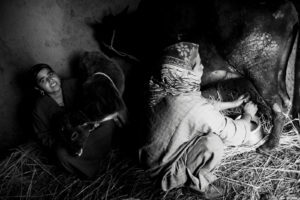 Her children are older and work in the fields to help provide for the family. 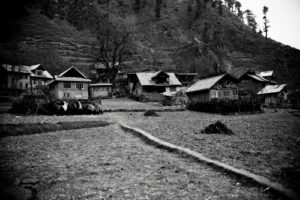 The village of Limber, near the pakistanese border. Shermal, 53 (r.), Maraj, 22 (l.) and Abdelkhalik Ahmad, her neighbour (center. 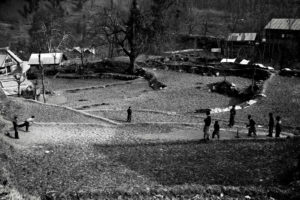 ), in their house in Limber. 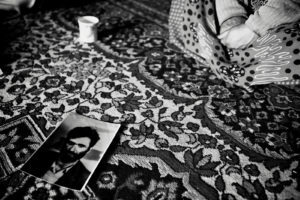 Shermal's husband, Fateh Majar, a seller, disappeared one evening in 1990. 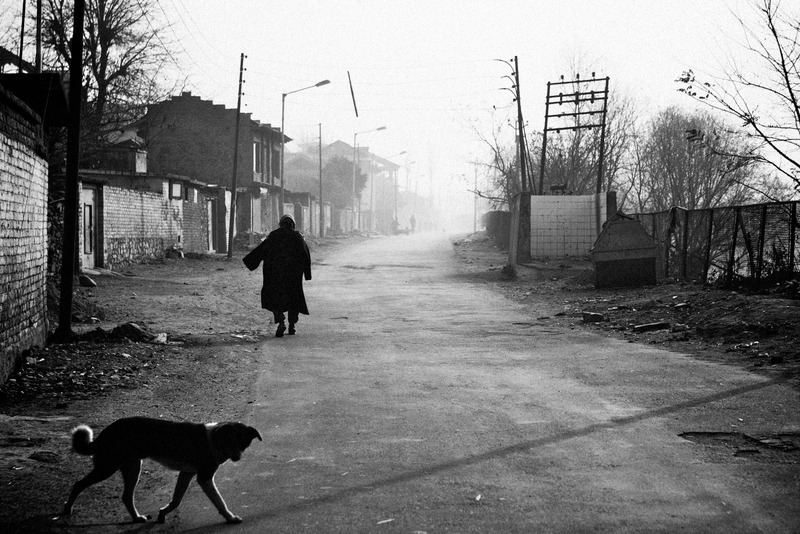 She tried to find him for 5 years, but had to give up eventually to pay for her children's schools. 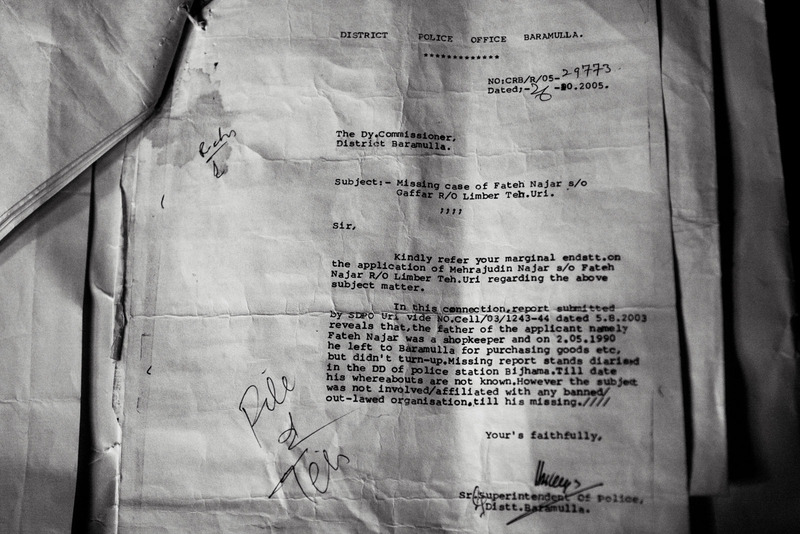 Shermal keeps preciously this letter, proof that her husband wasn't implicated in any terrorist activity. 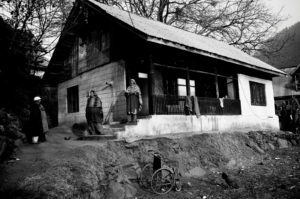 Shermal, in her house in Limber. 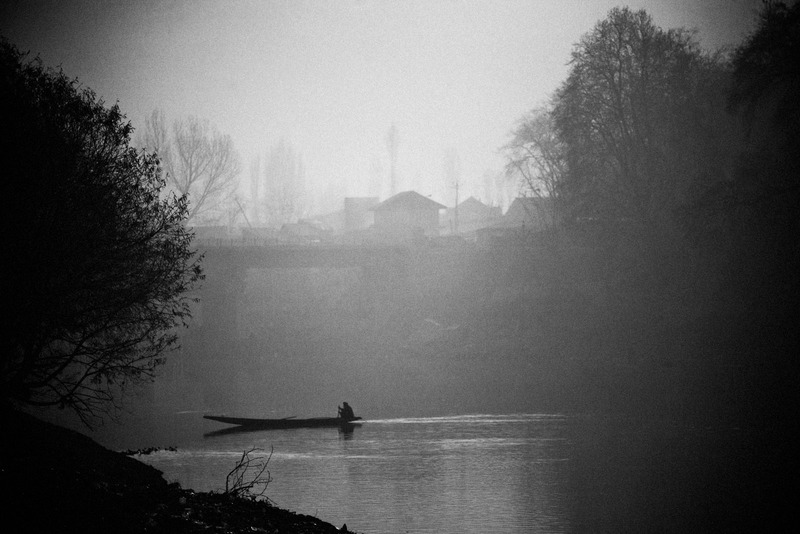 A boat crosses the river in Baramulla at dawn. Arsha Begum, 47, her mother in law and two neighbours, in front of their house, near Baramulla. 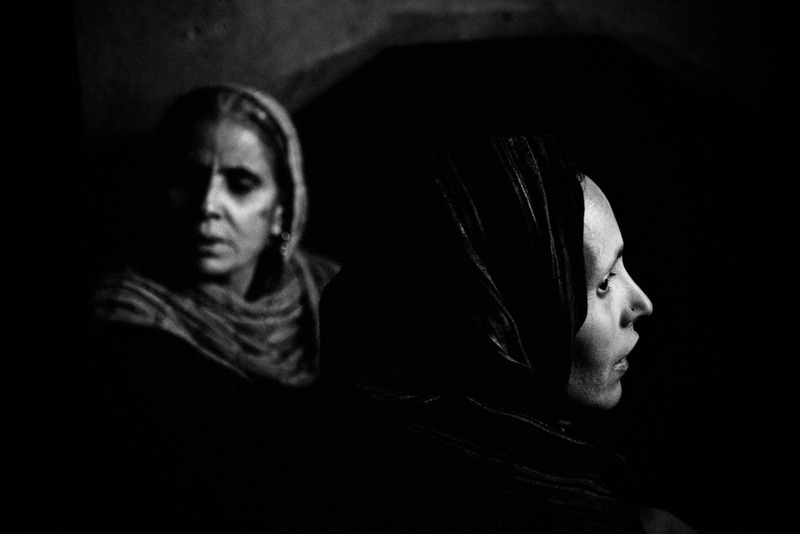 Arsha Begum and her mother in law, Jaana Begum, 70. 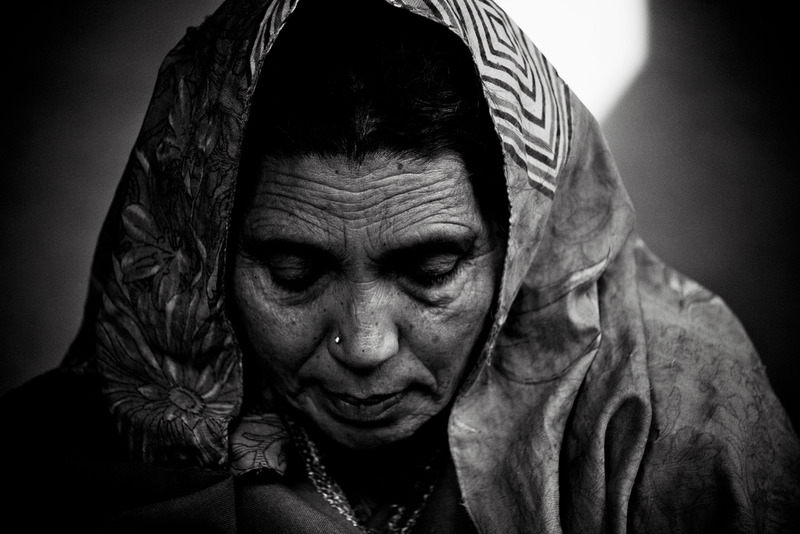 Arsha never had the money to look for her husband Fareed Khan, who disappeared in 1996. 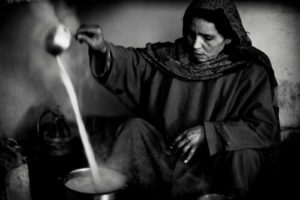 She now depends on the charity of her neighbours. 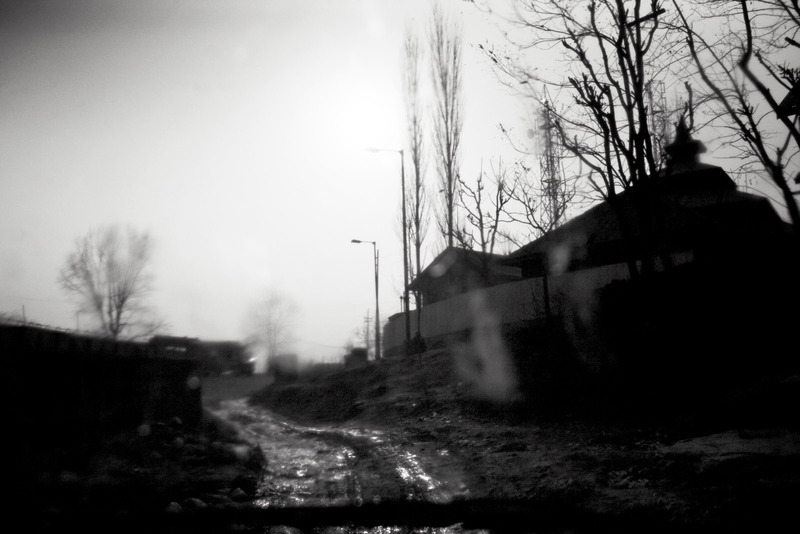 A street of Baramulla at dawn. 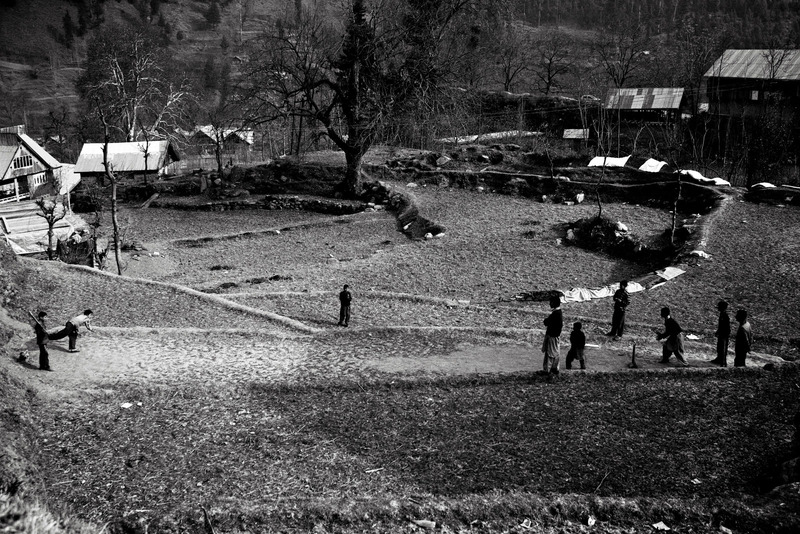 Kids play cricket in the frozen rice fields. 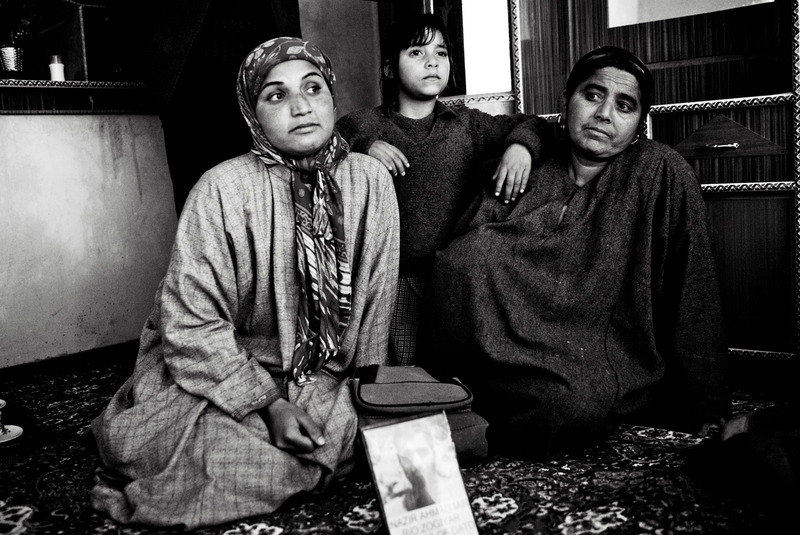 Tasleema Nazir (l.), 25,her niece and her mother, Ateeka Begum (r.). Tasleema is the daughter of NAzir Ahmad Mir, arrested in the middle of the night in their house in Zogiyar in 1990, after an anonymous source gave him to the indian police. Tasleema Nazir, 25, daughter of Nazir Ahmad Mir, arrested in 1990. No weapon or proof of illegal activities were ever found. 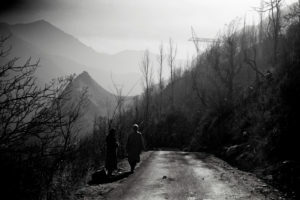 Tasleema still fights to find out what happened, but the indian army refuses to give any information. 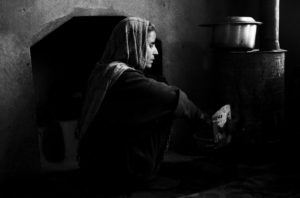 She and her brother had to drop out school to help provide for the family. 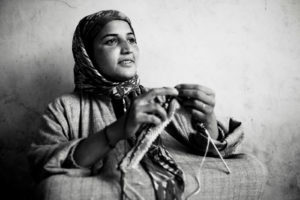 She now knits clothes to sell them. 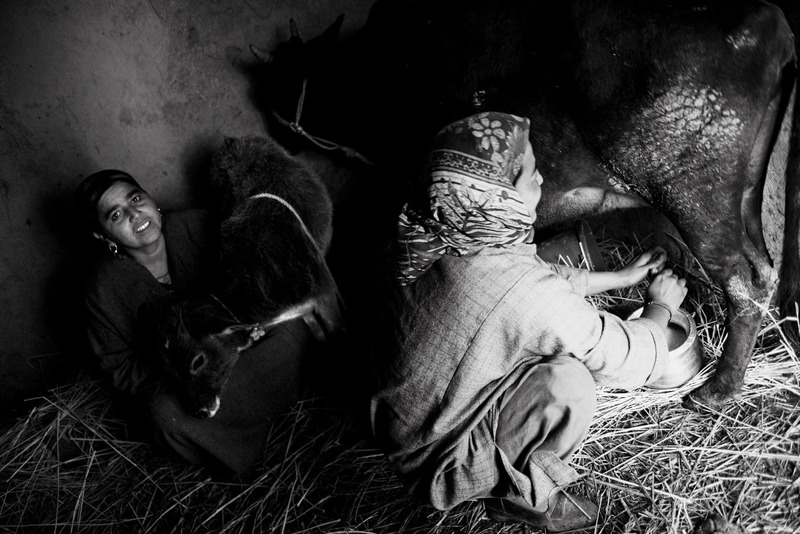 After very difficult years, Tasleema and her mother Ateeka were able to buy two cows. Ateeka works in the fields during the day. Kashmiris on a mountain road. 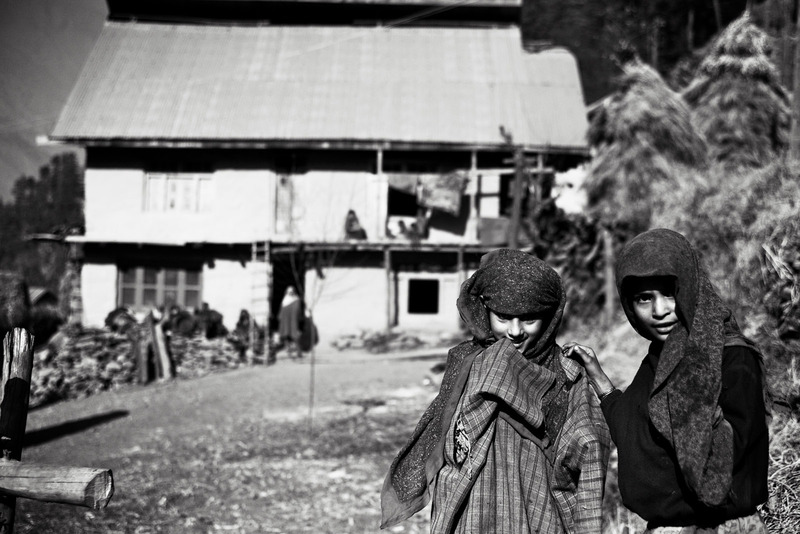 In the conflict ridden valley of Kashmir, they’re called the half-widows. 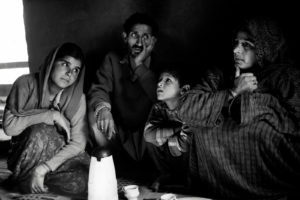 For many years, their husband have disappeared, sometimes without leaving a trace, sometimes arrested without any proof by the Indian army, which never released them or gave any news of their whereabouts. 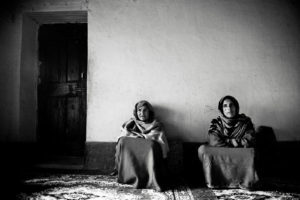 These women suffer both from the depression of a mourning that never really took place and from poverty, depending mostly on the charity of their family or neighbours. Too often, they either had to pull their children out of school to get them to work and help support the family or simply could not pay for school and can’t help their children to get an education. 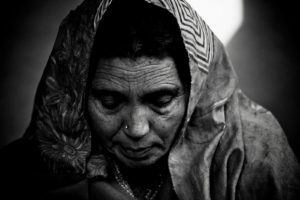 Completely left out by the Indian authorities, the “half-widows” have lost their hopes for a better life. 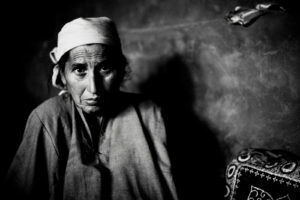 Stories | Tags: conflict, India, Kashmir, women.